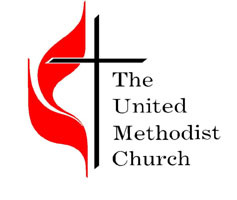 This is great news from the General Conference of the United Methodist Church yesterday. The UMC has repealed its forty year support for Roe v. Wade and for the pro-abortion Religious Coalition for Reproductive Choice. The UMC has never been as theologically “progressive” as other mainline denominations, but this sort of shift doesn’t happen by itself. It is the result of decades of hard work by faithful Methodists who never gave up on the denomination, despite all of its missteps over the years. Conservative Christians often tell a narrative where denominations only decline, usually due to a leftward shift. It is a narrative of pessimistic resignation, one in which the only appropriate response to theological or ecclesiastical error is to split and start a new denomination. But Christ’s church remains Christ’s church, against which the gates of Hades will not prevail (Matthew 16:18). This is why unity, hope, fidelity, and hard work remain our call wherever God has placed us. Kudos to those Methodists who never gave up. Carolyn Renee Dupont’s Mississippi Praying is a thoroughly stimulating analysis of the ways in which the theology and faith of Mississippi evangelicals shaped their opposition to the civil rights movement. A professor of history at Eastern Kentucky University, Dupont argues that, in contrast to the widespread assumption that southern religious opposition to the civil rights movement was the result of the church’s cultural captivity to a racist society, white evangelical theology was the decisive bulwark of segregation in the years 1945-1975. Because civil rights activists often relied on the social gospel for their critique of segregation, white evangelicals viewed the battle over segregation as a battle for theological orthodoxy. They stressed that social change would only follow the regeneration of individual souls, not the interference of apostate religious liberals from outside the state. Not that most southern pastors and theologians espoused racial violence or explicitly defended white supremacy. The crass apologists who appealed to the curse of Ham or to Israel’s separation from the nations as evidence of a biblical mandate for racial segregation were always in the minority. But the vast majority of southern religious leaders interpreted the faith individualistically such that the Bible could at least allow for racial segregation. Given widespread assumptions about race as a natural phenomena, a product of God’s divine providence, it was enough to emphasize that the New Testament did not condemn segregation as unChristian. Read the rest of this article here at Reformation 21. What holds the Methodist Church together? Real Clear Religion has kindly put up my piece, originally published with the Institute on Religion and Democracy, on the Methodist Church’s General Board of Church and Society. Although the UMC is the most conservative of the mainline denominations the GBCS still leans quite far to the left and is absolutely committed to the social gospel. This has given rise to considerable tensions within the denomination, as many Methodist pastors and congregants find that the legislative positions advocated by the board in Washington D.C. fail to match their own convictions about the implications of Christianity for politics. You can read my whole piece here. Comments Off on What holds the Methodist Church together? Young adult women disproportionately face situations in which they feel that they have no choice due to financial, educational, relational, or other circumstances beyond their control. The Church and its local congregations and campus ministries should be in the forefront of supporting existing ministries and developing new ministries that help such women in their communities. They should also support those crisis pregnancy centers and pregnancy resource centers that compassionately help women explore all options related to unplanned pregnancy. The statement is carefully worded, but the emphasis on helping poor women who have unintended pregnancies so that they do not have to have abortions is helpful. This is an area of common ground between many pro-choice and pro-life Americans and it is way of addressing abortion that sidesteps the culture wars. It is also a clear means of showing the love of Christ to the needy and the vulnerable. Some Christians are so fixated on the political battle that they fail to see that witnessing to the love and justice of Christ for sinners is far more important – ultimately – than is politics. In that sense believers who perform actions of justice and mercy in response to the gospel are involved in the very essence of the kingdom’s manifestation in this world. Those who fight and win political battles are doing an important work as well, but the means they have to use – the sword of a government that is passing away – highlights the more peripheral nature of their struggle. Think of it in terms of a comparison between the function of a New Testament deacon and the work of a lawyer in Caesar’s court. At the heart of being a Christian is keeping our ultimate loyalty and hope straight, even when the issue at hand is abortion. The UMC has a long way to go in faithfully proclaiming Christ’s lordship regarding abortion, but at least it is on the right track.